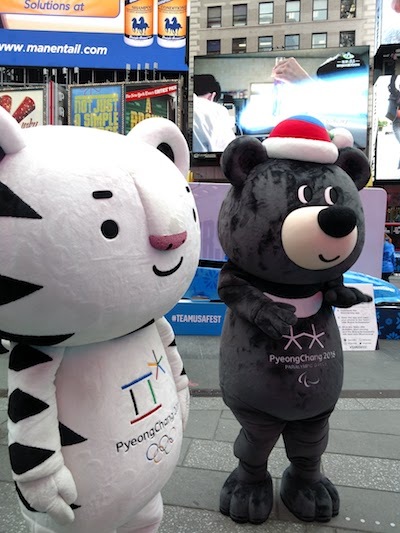 This week we’re in New York City for Team USA’s Winterfest (presented by Hershey), which kicked off the 100 day countdown to PyeongChang 2018. Join us for the fun as we hear from the athletes, try out the Winterfest activities, eat the snacks and check out the mascots. Because these guys? Are the bomb! 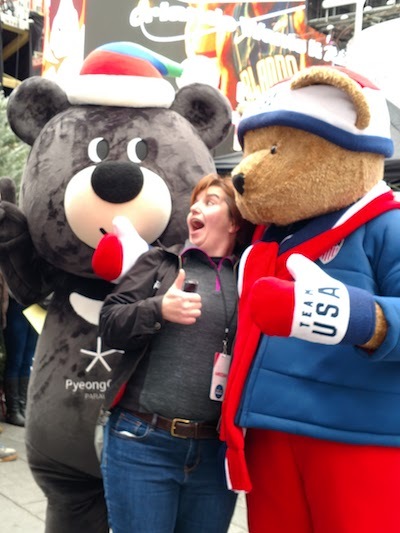 Put ’em with Spirit, Team USA’s bear, and you’re in for a good time! Speaking of PyeongChang, we learn that we’ve been pronouncing it wrong–but we’ll get it down. The countdown is on–we’re one step closer to the Olympic dream! Get there for yourself–don’t miss the fest if it comes to your area!